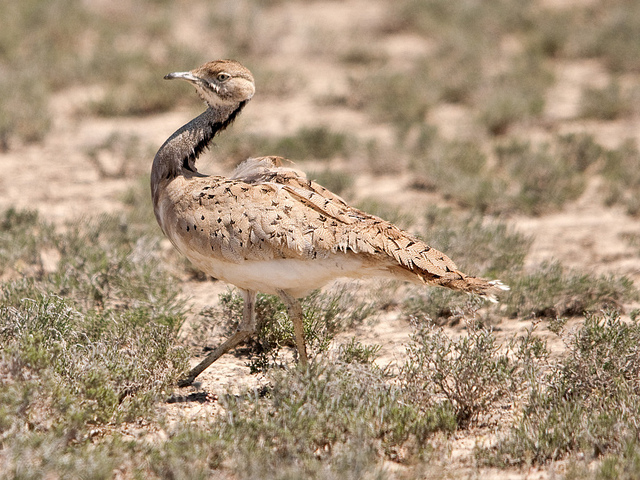 The Macqueen's Bustard is a bird of the Middle East. It loves stony desert landscapes. 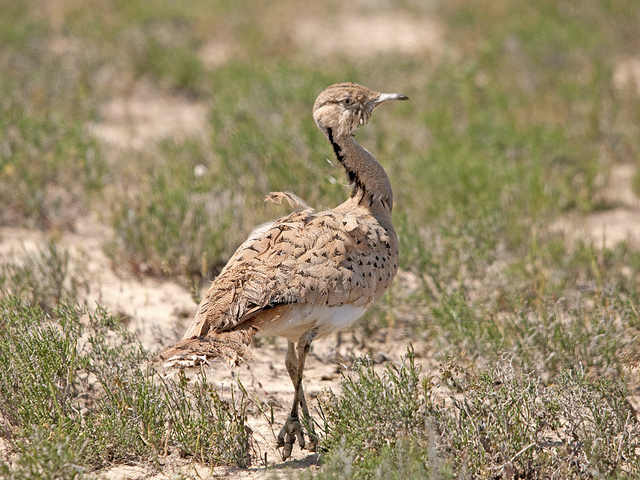 It is a goose-like bird, but has longer legs and a pointed beak.